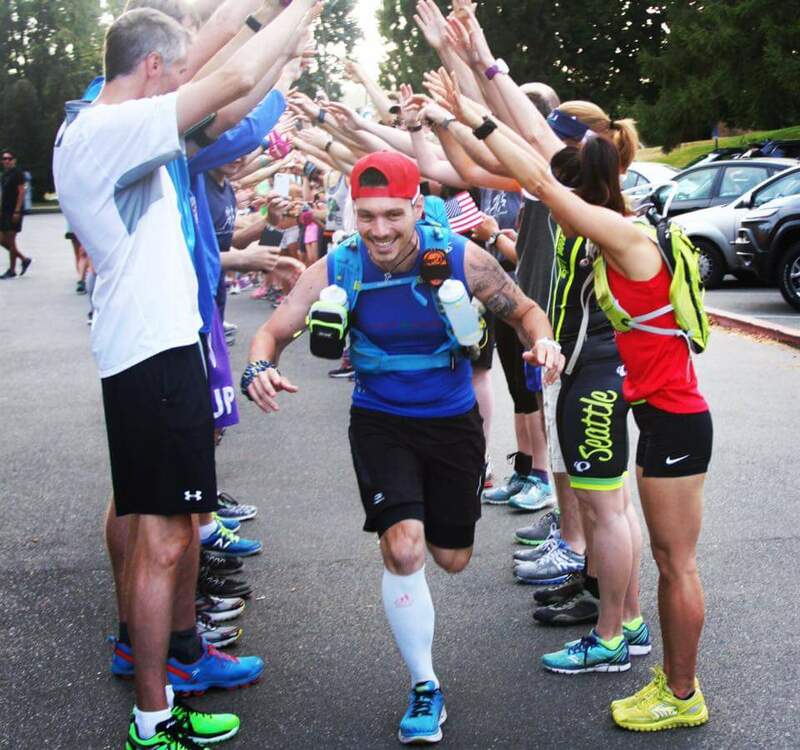 Recently we got the chance to chat to Stuart Repon-Ness who currently set off to run the entire west coast of America at the start of August. 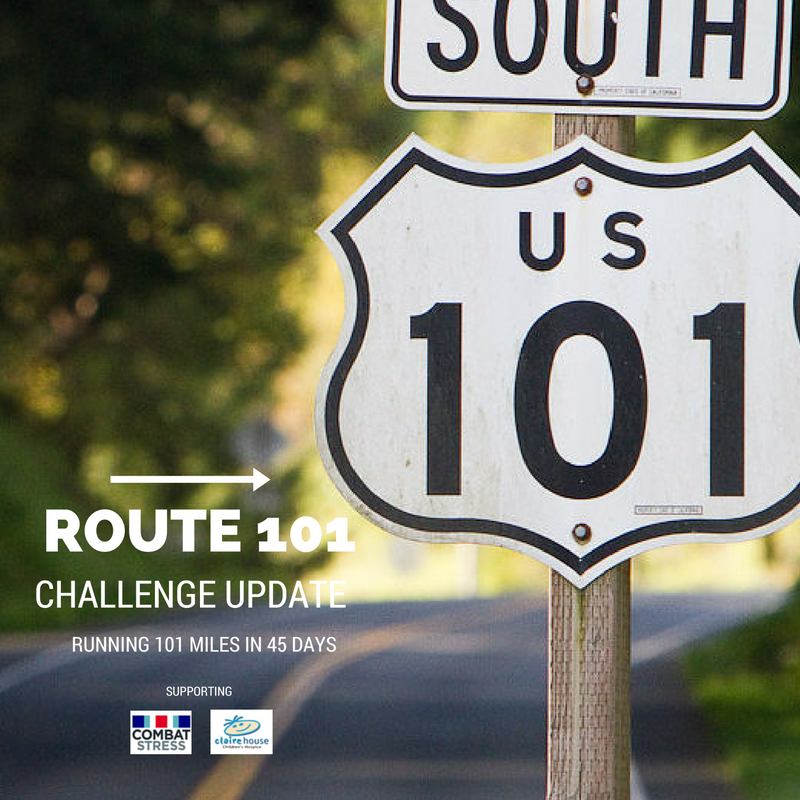 The challenge was called the Route 101 Challenge and would take him from Seattle, Washington all the way down to San Diego, California in 45 days or less. The route would take in most of highway 101 and take him over the hills of Washington, across the plains of Oregon and all the way through the diverse terrain of California. 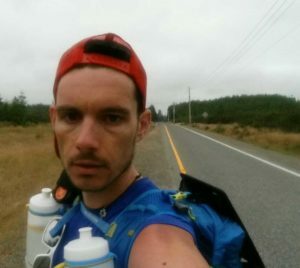 If you want to find out more about the Route 101 challenge and the reasons why Stuart is running it, check out his first blog here. Unfortunately, Stuart suffered an injury on day five of the challenge and was unable to continue. We caught up with him to talk about what happened. Let’s start from the beginning, take us through your first day, was it what you expected? Day 1 was insanely hot! Seattle to Shelton. 43 miles! Green Lake Seattle running club ran the first 7 miles with me and gave me a fab send off! One of the GL club guys ran the whole distance with me which was needed on day 1.. I didn’t know what to expect and the heat was hideous so having Dave there was a blessing. Did your training adequately prepare you for the challenge? Absolutely! I felt so strong. Legs felt good, even waking on day 2, I was ready to go with no aches or pains! In fact on day 3, I ran walked the first 5 miles to warm up then ran a 5 hr marathon! Some of the hills in Washington State are brutal! Injury on day 5, can you tell us a little bit about the lead up to it and how it happened? Towards the end of day 4, about 28 miles in.. I started to feel a deep ache at the lower front of my left shin. I was for a mile or so but the pain grew to a burn and brought me to a hobble for the final mile. Day 5, refusing to give up. . I literally walked all 31 miles in agony. As I reached my stop point and sat down for some dinner, I couldn’t move my foot or ankle for the sheer pain in sent into my shin. I was awake all that night in severe pain and ended up at the ER. The doctor told me i had ruptured the Anterior Tibialis and I absolutely cannot run any further. The roads in the US are heavily cambered, throughout each ultra, my left leg struck the ground harder than the right which I believe was the cause of this nasty injury. My hoka tread confirmed this as the sole of the left was bald! What is the rehab going to be like for your injury? Well, I’m walking comfortably now and have started back in the gym, hitting the spin and focusing on some strength work… Staying positive.. my body is used to ultra distance so hopefully won’t take me long to recover and get back at it! Whats the plan now? Are you going back to finish the challenge? I absolutely am going back! I hope to fly out in early April 2017 to finish what I started. I was doing this for charity and they mean too much to me to just give up. This time around, what will you do differently in the challenge? It’s actually a tough question to answer as i was still feeling strong body-wise when the muscle ruptured. I will definitely focus more on road running prior to going back as trail and fell is my usual game! I am also tempted to have a wingman/driver incase I get into trouble again. . This time I was lucky I knew someone in the area where I had to stop. Imagine if that had happened in a remote road with nothing around (and usually) without mobile signal! This will also then enable me to lose the race pack weight and il only need to carry water and snacks. Mentally I know what to expect now, I’ll probably also not hit each day as quick!! Take my time to cover the distance! Where and when can we find about where to follow you? Don’t forget to subscribe & visit EtchRock.com to find your next challenge!